Jaya House River Park, in Siem Reap. Our travelers consistently tell us that the Jaya House is “the best hotel they’ve ever stayed in.” What sets it apart is the level of service and attention to detail, from the best breakfast in Southeast Asia to the exquisite silver-tiled pool to complimentary tuk-tuk rides all over town. Jaya House is also passionate about community and environmental support: The hotel is working to become 95% plastic-free; has committed to donating 10,000 or more sustainably-grown tree saplings to families and public spaces around Siem Reap; and is a founding partner of Refill Not Landfill, a campaign aimed at changing the way water is consumed by travelers in Cambodia. There isn’t a bad room on the property, but the cost to upgrade to a Junior Pool Suite is minimal and the room is stunning; these suites a particularly great value for honeymooners wanting some privacy. Our travelers receive a variety of perks here, including VIP check-in and upgrades when available. Sister Srey Café is a special place that not only has the best fresh foods (think açai smoothie bowls and avocado toast) and great coffee, but also a big heart: This social enterprise trains young Khmer hospitality students while running a top-notch establishment. Stop by here for feel-good food and Instagram-worthy dishes. The Sailing Club at Knai Bang Chatt in Kep has amazing views, and the seafood is fresh and delicious. Every Men in Black II fan remembers the line about the one-dollar lobster dinner in Cambodia—this is the modern equivalent of that! In Phnom Penh, we love Friends the Restaurant. It serves a tapas menu, so you can order a lot of small plates and share. The fresh juices and smoothies are amazing, and the restaurant is run by an NGO that trains and supports street kids. We guarantee your water glass will never be empty! Cooking class. Photo courtesy Journeys Within. Amok is Cambodia’s national fish dish, and it is delicious. It’s prepared in a variety of ways; one of our favorite versions can be found at Frizz in Phnom Penh. Frizz also runs a great cooking school, so you can not only try the amok but also learn to make it. Restaurant Le Royal at the Raffles Hotel in Phnom Penh has a sophisticated degustation menu that allows diners to try a wide range of dishes in a single meal. It’s a true fusion of the best of Khmer and French cuisines in an atmospheric colonial setting. 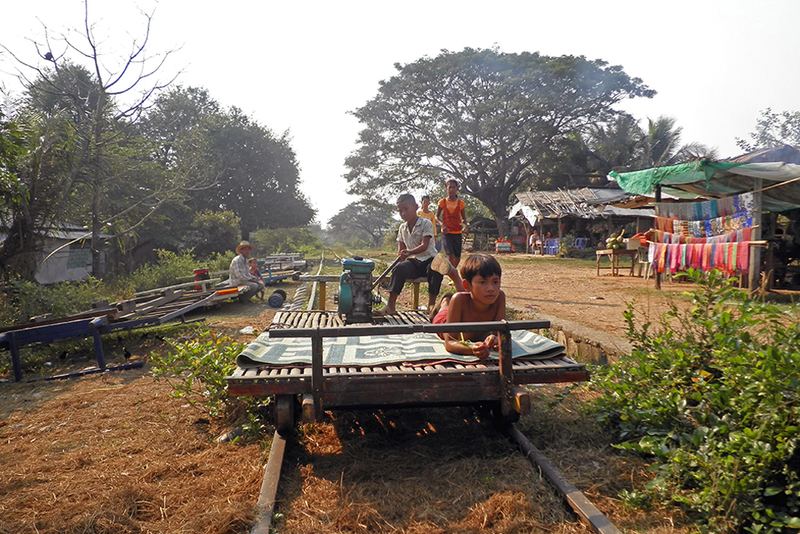 Wooden train in Battambang, Cambodia. Photo: Journeys Within. Sihanoukville is loaded with dive bars and has a very seedy feel, not at all conducive to relaxing on the beach. If you want to enjoy the beauty of the Cambodian coast, head to Koh Rong or Kep instead. We have always loved Battambang. This little town on the Tonle Sap Lake has fascinating Khmer Rouge history and beautiful ancient temples. The bamboo train here (a ride on the rails on a bamboo flatbed contraption that defies description) is a bit of a tourist gimmick, but it’s also a lot of fun and a nice change of pace—especially for kids—from the temple visits. We also love the temples at Koh Ker, which are our favorite in the entire country. 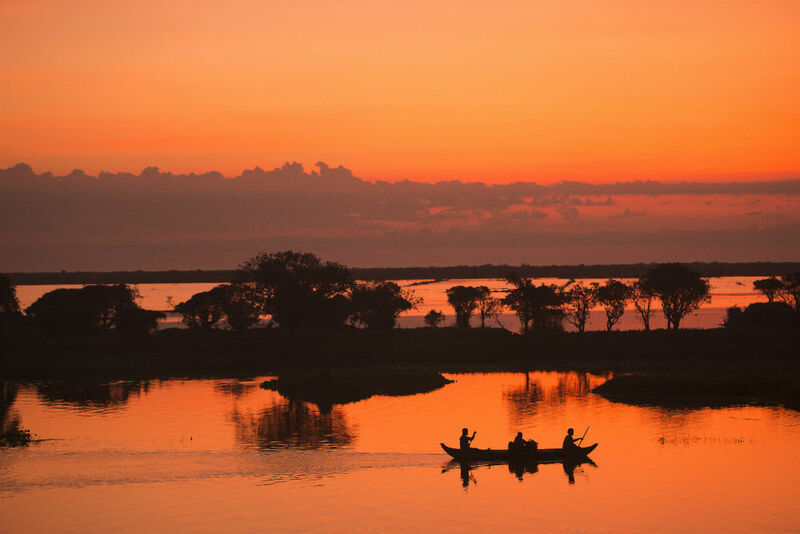 To get to them quickly and in comfort, you need a helicopter, but you can also go overland from Siem Reap on a drive through rural Cambodia that takes about four hours each way. You’ll want a driver and guide, because the areas you’re visiting are remote and few people speak English. The National Museum in Siem Reap offers an audio tour on the history of the Khmer empire. It’s a great way to prepare to visit the temples, because it gives you a basic understanding of Khmer culture and the significance of the monuments. The room of Buddhas, which is filled with representations of the Buddha in every size, is also a very special and ethereal place. Take some time to visit APOPO’s Visitors Center in Siem Reap. This organization uses rats to detect landmines and tuberculosis; at the center you can learn about the impact of these scourges in Cambodia, and meet the “Hero Rats” who are helping de-mine the countryside. Hire a tuk-tuk in Phnom Penh and ask the driver to take you on a one-hour tour of the city. He’ll be excited to be your guide, and the city is an interesting place to just be driven around. The cost for an hour will be less than $10. Tuol Sleng in Phnom Penh is a notorious building—a school converted into a prison by the Khmer Rouge, which incarcerated and killed 20,000 people there during its reign of terror. We can arrange for you to tour Tuol Sleng with Chum Mey, one of only seven people who survived incarceration there. After the tour, Chum Mey will join you for lunch and can share with you his harrowing story of surviving Cambodia’s civil war and the Khmer Rouge years. He is an amazing man and friend who has written a book about his experience and was very vocal about the need for a Khmer Rouge Tribunal. This is a rare opportunity to hear about the atrocities of the Khmer Rouge from someone who both witnessed and experienced them. Sundays are the only day off in Cambodia, so locals are out and about picnicking and enjoying their free time. In Phnom Penh, you can visit one of the islands offshore where you can get a real taste of local life and then head back to the city for a foot massage in the afternoon, followed by a walk and dinner along the riverside. 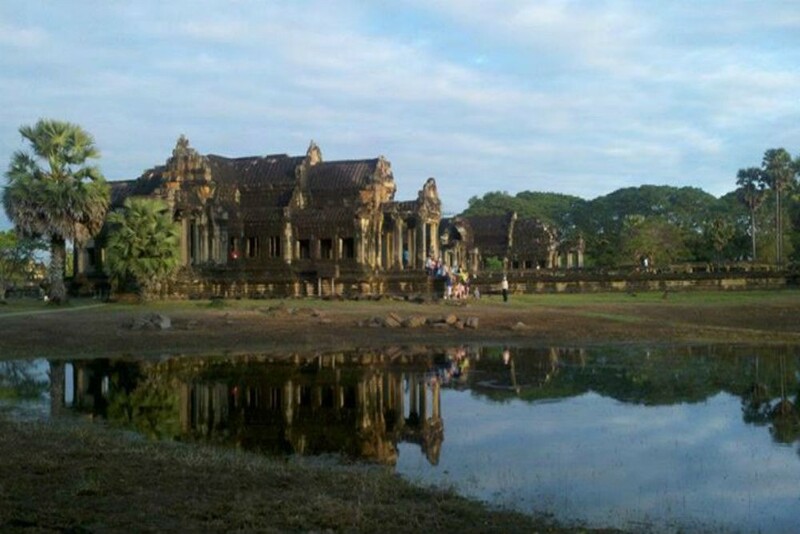 In Siem Reap, visit the temples and join the locals having picnics overlooking Angkor Wat and the moat. At night, head to Road 60 and enjoy the local carnival—meat on a stick, games, and even a roller coaster (though we’re sure it hasn’t passed a safety inspection too recently). 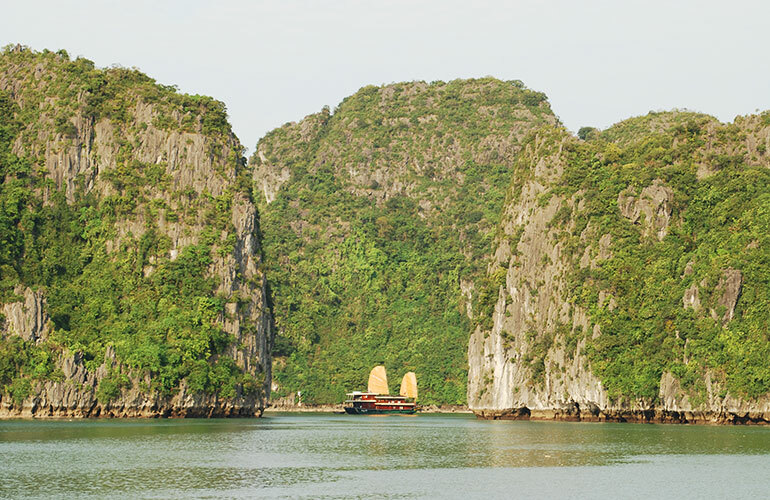 Insider tips from one of Wendy's Trusted Travel Expert for Vietnam. A lot of people can’t handle the heat of Cambodia, and I don’t blame them: It can hover between 95 and 100 degrees in some places for days on end. For that reason, I recommend December through February, preferably avoiding the holiday crowds that converge from December 15 to January 15 and over the week of Chinese New Year. 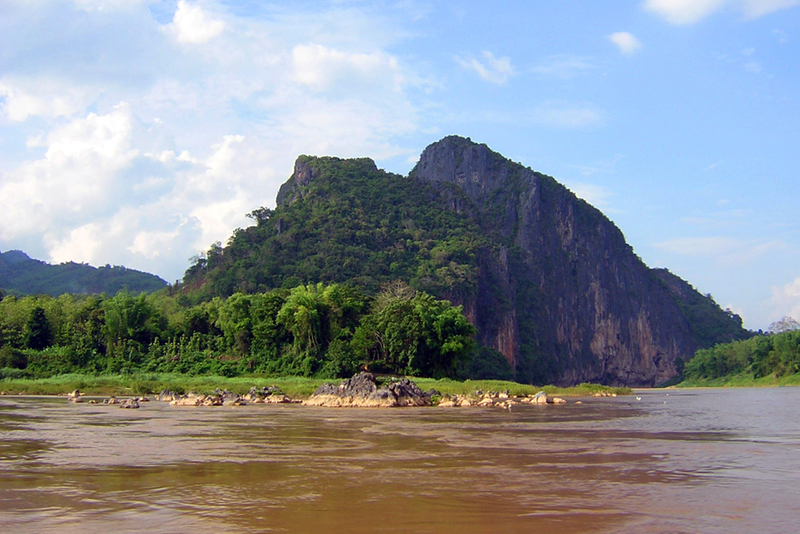 But if you’re not bothered by the heat, I highly recommend August, which was my favorite month when I lived in Cambodia: It’s the monsoon season, but the flooding usually isn’t bad, the country is green, and the evening brings cooler temps. 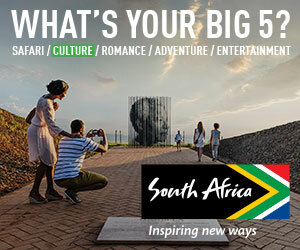 Best of all, the crowds haven’t arrived yet, so you won’t have to jostle for position at the most popular sites. April and May are the worst time to be in Cambodia, as the heat is oppressive and the blowing dust can be overwhelming. It’s also good to avoid the holiday season (December 15 through January 15) and Chinese New Year. Thinking that you can see Cambodia in three days. 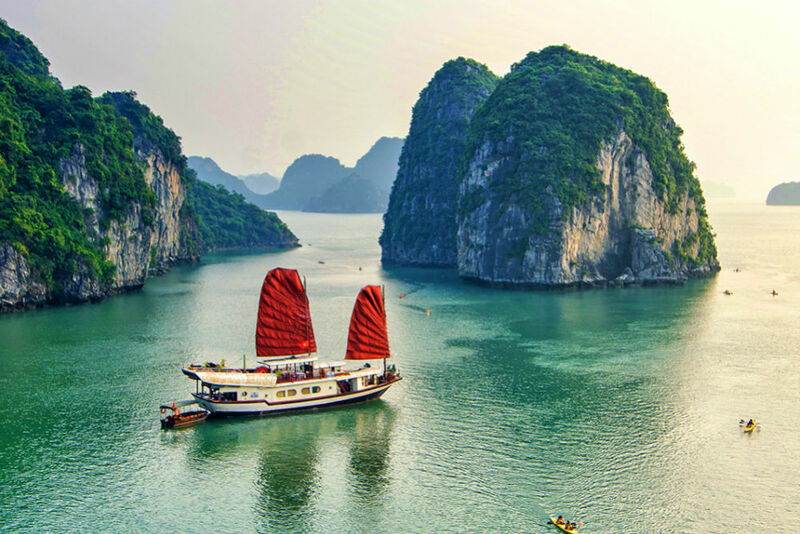 In the past ten years the country has become a much more diverse destination; only visiting Angkor Wat robs you of some of the true wonders the country has to offer. Assuming that overland travel will be easy. It won’t! Despite a lot of development in the major hubs, Cambodia is still a developing country and it seems to have decided to develop the roads last! 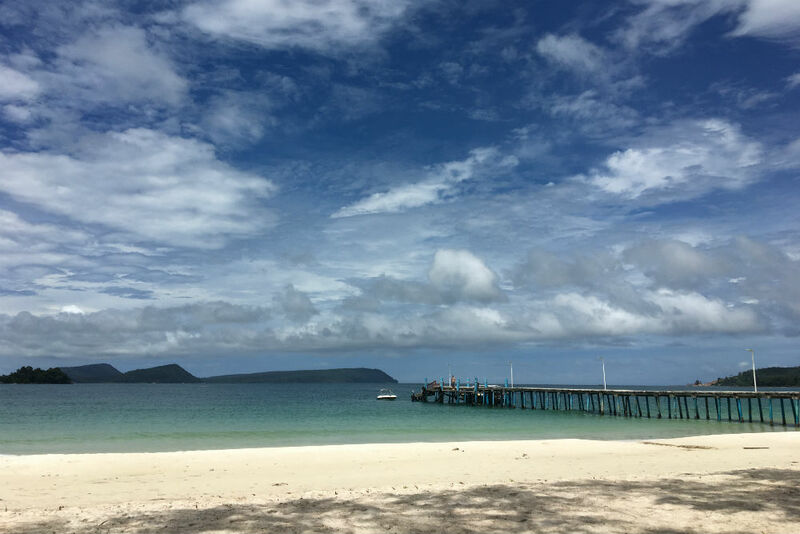 When most people think of Asian beach resorts, Cambodia doesn’t come to mind—which makes Koh Rong Samleom a much more affordable alternative to its Thai and Vietnamese neighbors. Come here in fall and winter for ideal conditions on its long, white-sand beaches. The Royal Sands has the best of the island’s hut-style accommodations. For a splurge, book a helicopter to whisk you directly to the resort from Phnom Penh or Siem Reap. Kep, located in the south of Cambodia on the Gulf of Thailand, is a charming town that takes you back to visiting the seashore as a kid. The vibe here is about collecting shells and eating fish and chips and being completely satisfied in the simplicity of it all. Carve out a day to head to neighboring Rabbit island, where you’ll enjoy $1 fresh-fruit smoothies and a more typical beach experience. Our favorite place to stay is Knai Bang Chatt; you can visit year-round, but expect a fair bit of heat in the summer months. Negotiate fares with tuk-tuk and taxi drivers before you get in the vehicle. At the end of the ride they can come up with whatever price suits them and then you’re stuck, so always strike a deal before you climb in. We like the World Nomads Cambodian Language app. It has audio so you can hear how the words are supposed to be pronounced, which is really helpful. The Siem Reap airport is still quite small, but the crowds are getting bigger, and the lines at immigration longer—often up to an hour’s wait. We can arrange Fast Track service for only $15 per person: You will be met just inside the doors at immigration and our liaison handles the visa processing while you collect your bags. Your passports, with visas stamped in, will be handed back to you at baggage claim. Though it may be surprising, Cambodians these days expect tips. We recommend tipping just as you would at home; guides and drivers are used to $10 to $20 per day. We also recommend a dollar or two for the bellboy or for your tuk-tuk driver. In a country where the average income is so low, this small gesture means a lot. More than you think you should. We tell all our guests that you can’t re-wear clothes in Cambodia! Even in the cool season it’s just so hot and sticky that clothes get icky really fast. While laundry service is available, clothes often can’t be returned quickly, as they’re dried on a line, which takes time in such humidity. So don’t pack too light! Early morning at Wat Phnom in the center of Phnom Penh city is very special. Locals arrive with offerings, and you can catch the monks sweeping up with straw brooms and preparing for the day. Another great place for photos is the river at sunset. The balloon seller and the banana seller and the shoe seller and all the other vendors at this open-air market make great portraits. Instead of buying something at a market, why not make your own souvenir? Book a craft workshop with Ammo Jewelry; at the end of the lesson you’ll have learned about Cambodian crafts and made a beautiful trinket to bring home.